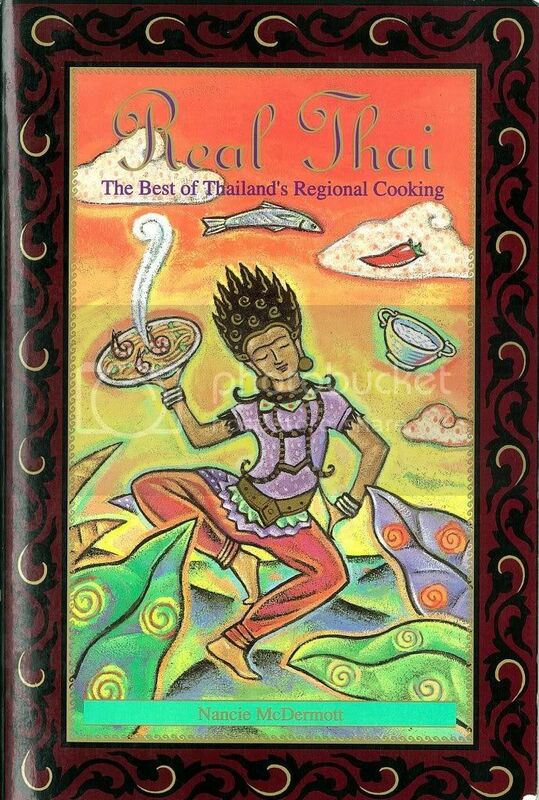 Thai Ingredients | Nancie's "RealThai"
~ Thai food: cooking, ingredients, equipment, traditions, recipes, books, stories, news. Still at the market, picking up some ingredients to share with you here. Check back in May, 2014, by which time I will have stocked this ingredient page with such treasures as tamarind, lemongrass, galanga, wild lime leaves, sticky rice, and much more. When Real Thai came out back in 1992, I could find many Thai and Southeast Asian ingredients where I lived in Southern California by driving to Little Saigon, the Vietnamese community a little ways from my home, or to other Asian markets. Now I’m living in North Carolina, and not only are there Asian markets here which did not exist back then, but there are so many Asian ingredients in the supermarkets, and available from vendors at the farmers’ markets as well. I grow lemongrass on my deck, and Asian basil in my tiny box garden. I could grow plenty more Asian ingredients there, too, by conquering my laziness. This is the year! Hope you can find what you need where you are, for cooking wonderful Thai and Asian and world food. 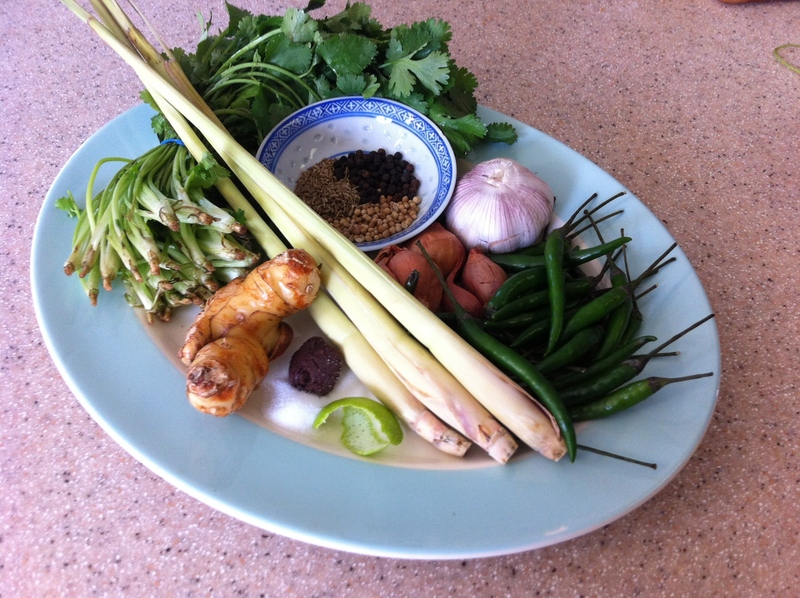 Ingredients for making green curry paste / krueng gaeng kiow wahn.